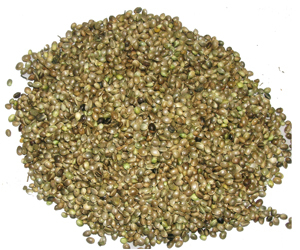 You are at:Home»Herbs»Cannabis sativa Linn. Latin name : Cannabis sativa Linn. Description : Plants are tonic, intoxicant, stomachic, antispasmodic, antiemetic, analgesic, narcotic, sedative, aphrodisiac, stimulant and anodyne. Seeds and leaves are used to treat old cancer. The seed is said to be a remedy for tumors and cancerous ulcers. The decoction of the root is said to help remedy hard tumors and knots in the joints. The leaf is digestive and astringent and is said to alleviate cancerous sores. The plant is also used for mammary tumors and corns. Also useful in asthma, blood poisoning, bronchitis, catarrh, convulsions, coughs, cystitis, delirium, depression, diarrhoea, dysentery, dysmenorrhoea, epilepsy, fever, gonorrhoea, gout, inflammation, insomnia, jaundice, malaria, mania, menorrhagia, migraine, neuralgia, palsy, rheumatism, swellings, ureteral prolapse and whooping cough. Recommended Dosage : 125 mg to 250 mg purified powder. Contraindication : Exercise extreme caution if prone to schizophrenic episodes or epileptic seizures, or if suffering from heart conditions. Reduce dosage or discontinue use if excess drowsiness or sense of disorientation interferes with ability to function. Contraindicated during pregnancy or lactation.